About to get hitched? Before you pick out your perfect wedding trousseau, have a look at these 32 drop dead gorgeous bridal shoes that we have collected for you! Weddings are glamorous, but they are also very tedious. They seem to go on forever when you are in uncomfortable shoes! If you are not one of those girls who totter around in 4 inch stilettos every day, you should very seriously consider opting for ballet shoes instead. Keep the heels for the pictures if you must. But for the leg work, pick a cute pair of ballet flats! 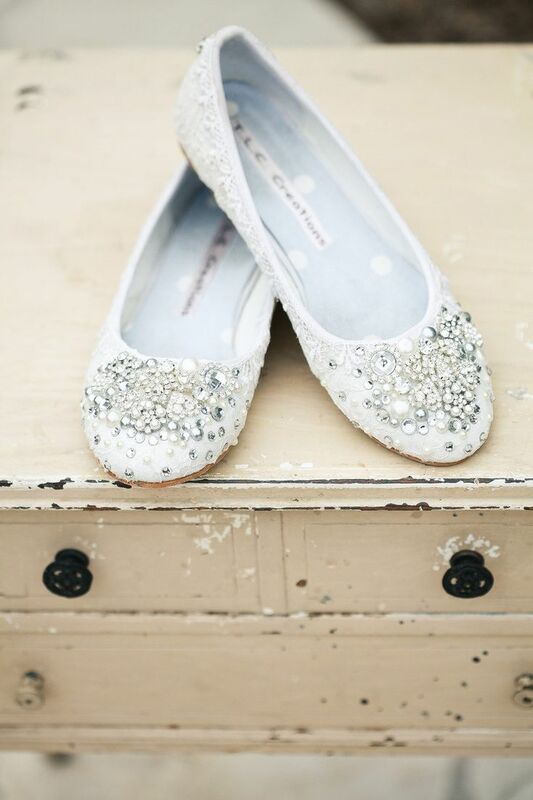 White weddings have a much wider variety when it comes to bridal ballet shoes. Predominantly white to go with the wedding gown, some of the best designers are recreating the white ballet shoe to reach perfection. Some of them are even experimenting with champagne pink and a pale rose colors. That works very well if your gown has highlights or embellishments of these colors. A contrast CAN look fantastic sometimes! But what sort of shoe should you pick? Tie-ups, pointy-toed shoes or the normal ballet shoes? Well, it really depends on your dress. The ballets should enhance your look not draw attention away from your dress. 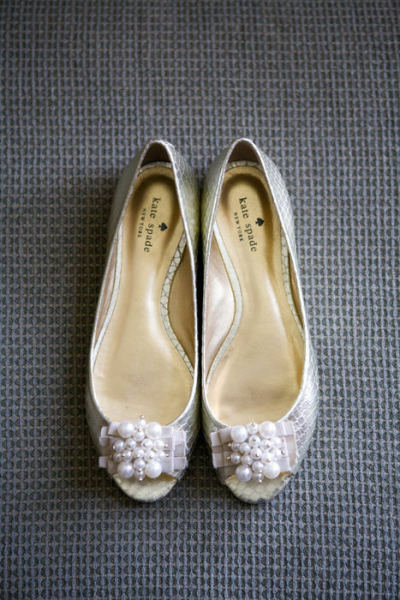 If you are planning on an evening wedding, open-toed ballet flats are out. These work best if you are opting for an outdoor wedding. When it comes to Indian ballet shoes, the choices are fairly straight forward. They are almost always interchangeable with your jutis. The colors which we find here are from the bridal palette of deep reds, greens , gold and silver. Our favorites are the ones which look like they are made of pure metal. They are a great accessory to slip into in between the rasams. Go for either pure gold or silver, or a pair which has motifs that match your lehenga. So go ahead, pick your favorite pair of bridal ballet shoes now!